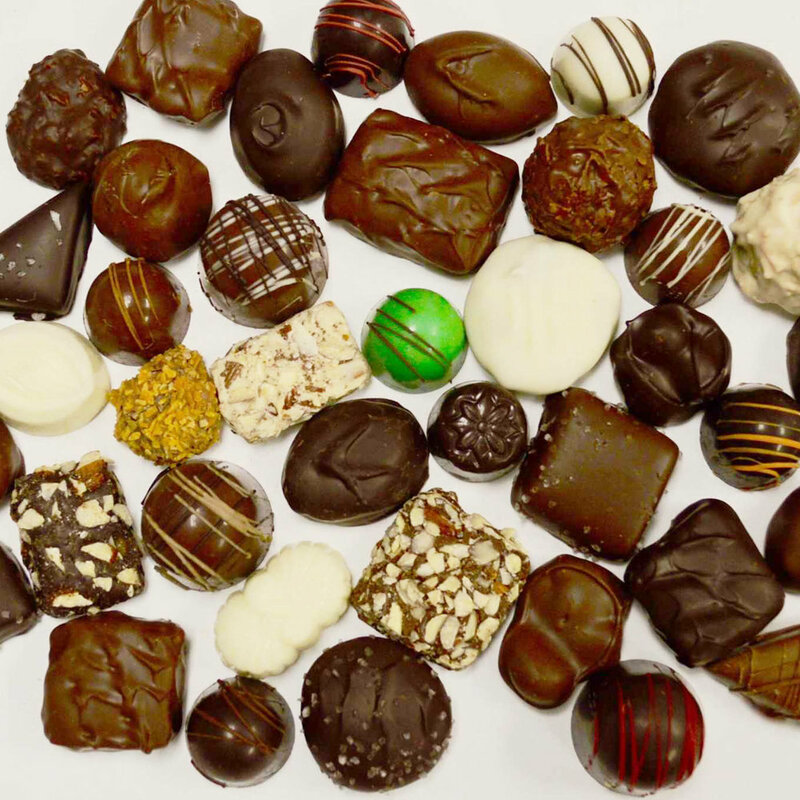 Sweet Chocolat is a small artisan chocolatier located in Arden Hills, MN. Our chocolate is tempered freshly every day for the most delicious flavor. Whether you visit us in store or online, we provide a personal touch to each experience. Sweet Chocolat was born out of a love for good chocolate and a commitment to providing the highest quality around. Of course you can't be all things to all people. 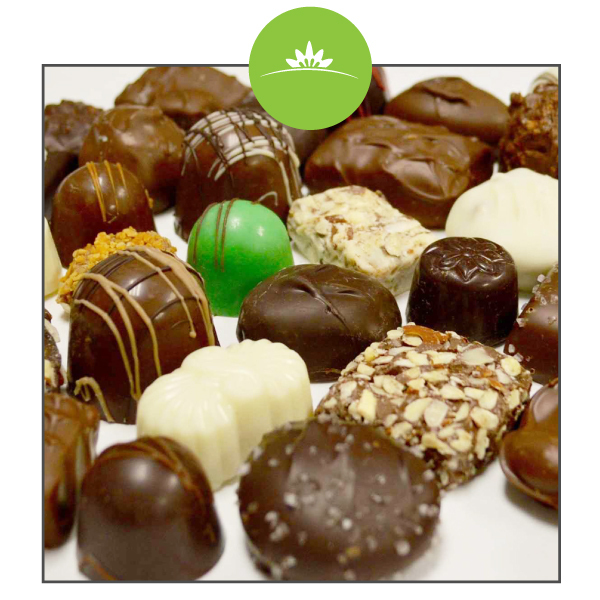 We offer unique Chocolate selections for yourself, family, friends, or business clients that are custom, hand-made, and designed just for you. Whether it's your vision or with our assistance, we guarantee that the recipient of your gift will be touched by the quality and thought that went into its selection. It's like we are your own personal chocolate shopper. Give us a call and find out why so many of our customers return. Explore your creative side and say it in chocolate! 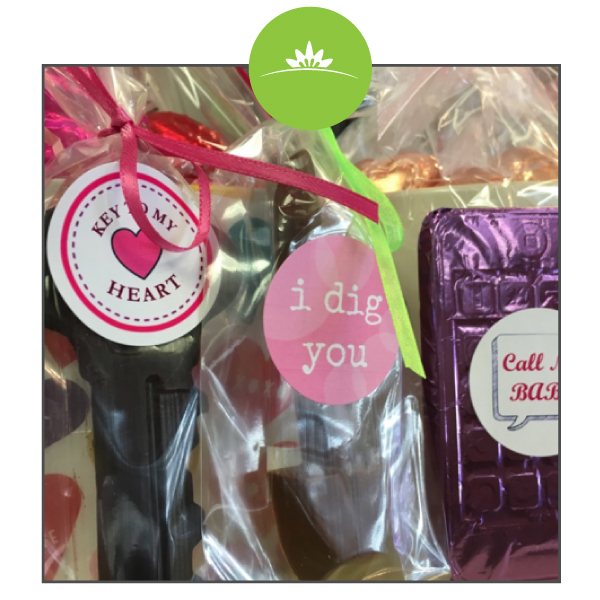 Custom chocolate gifts for clients, employees, friends and loved ones. Custom gift packages for every occasion. I didn't know chocolate could do that! Chocolate is an amazing medium to work with. We can make custom shapes for any occasion. Life is sweeter with chocolate favors – from custom wedding favors to graduation party treats. 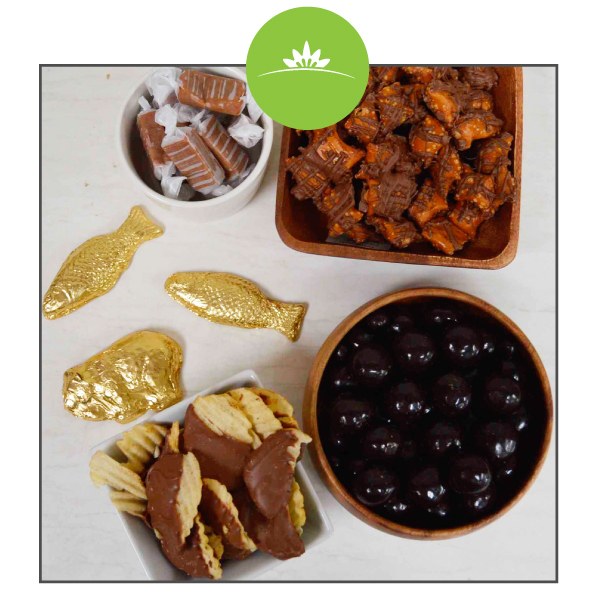 Endless possibilities exist combining different types of chocolate, flavors, colors, and decorations. Try a special birthday or anniversary surprise with our delicious, handcrafted, custom fine chocolate. Whether it’s the company holiday party, the launch of a new product or a company anniversary celebration, chocolate makes the event even sweeter!